Pete loved fly fishing almost as much as he loved playing guitar. 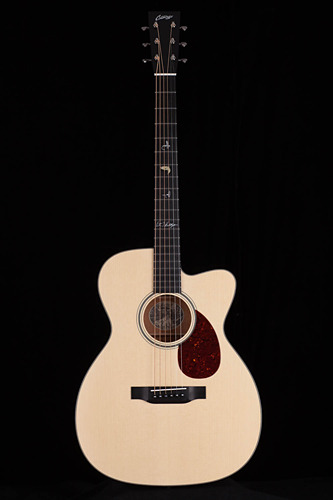 Now, Collings Guitars has blended Petes two loves into one beautiful 2nd Limited Edition OM1 Cutaway, a replica of his favorite guitar that he used for touring and numerous recordings. Pete had a long and significant relationship with the Austin-based guitar company, founded by luthier Bill Collings.